1. My oil pressure gauge is connected however i dont know if it works. I have hooked everything up and ran the starter and turn engine over. The gauge did nothing. Is there another way to tell if i got pressure when i finally crank it? I bought an inexpensive oil pressure test gauge and eliminated any uncertainty when firing for the first time. On the spark, you should see a fat blue/white one when everything is happy. 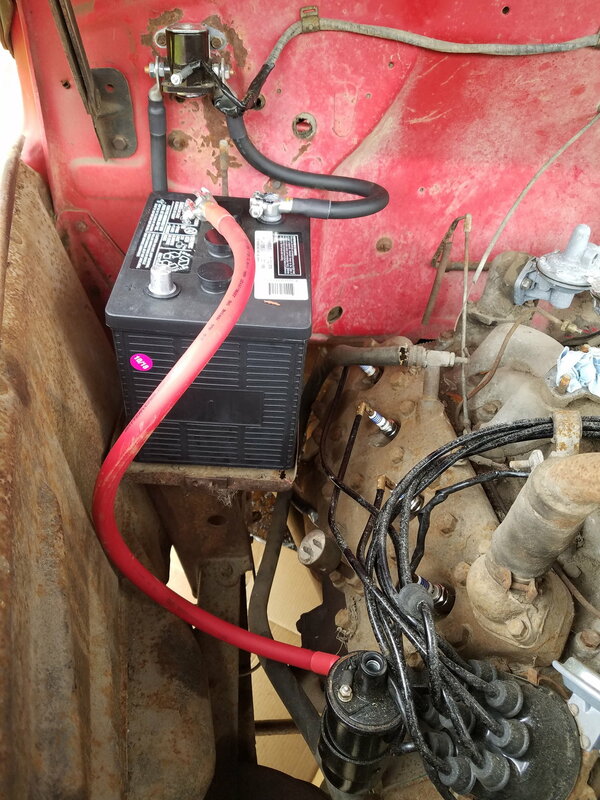 I would start with the battery and ground connections. Six volt systems like clean, shiny connections. I would simply check every part from the battery posts to the plugs. Pay special interest to the capacitor as the new ones are prone to be DOA. Where did you install that oil pressure gauge? The capacitor inside the distributor? 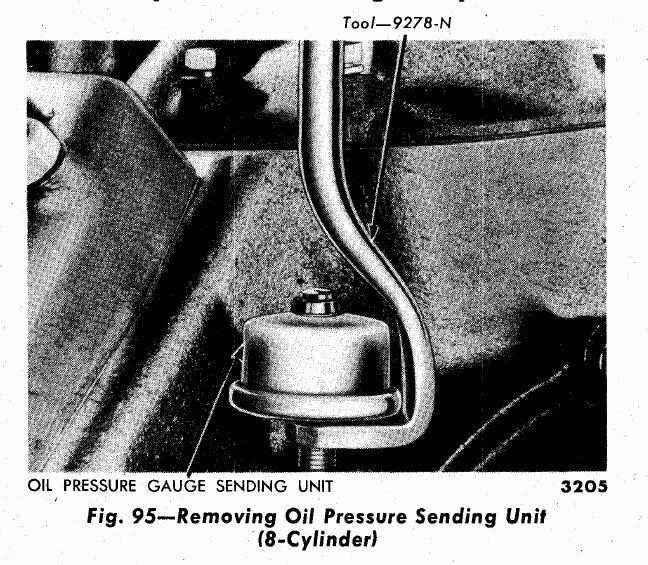 The easiest way to connect an oil pressure gauge is to get a brass adapter, that fits the oil filter inlet tubing (should be a flare fitting) and provides a female NPT connection (pipe thread). Disconnect the tubing from the filter canister, add the adapter, with the gauge connected to the NPT side. 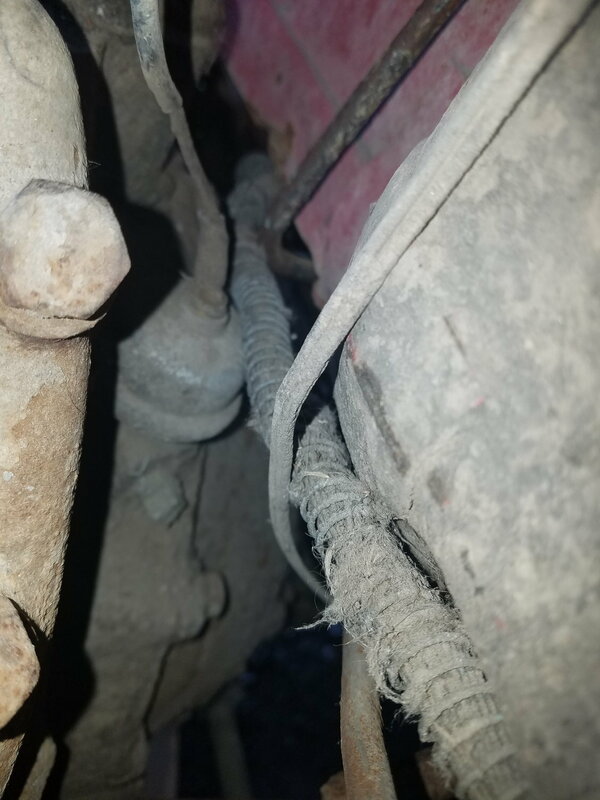 Otherwise you have to go to the bottom of the oil filter inlet tube, down on the block near the bellhousing area, disconnect the tubing and remove the adapter in the block. Not an easy place to get to. I used the oil pressure sender fitting for the test gauge. Yes, the capacitor in the distributor. The 4 sided screw below the sending unit? I removed the sender and installed the test gauge in its place. How do you remove the sender? So, while checking for spark....i managed to lock up the engine with the starter. (I remember reading a about gentleman with a model A got his starter locked) he rocked the car in gear to dislodge it (if i remember right.) I put a socket on the crank to gentle rock since my rear wheels are seized. Nothing happened. I pulled the starter, now motor turns free.....i was almost in 'o crap' mode. I have a spare starter, i just need to educate myself on how this works. The sender has a threaded end so it can be unscrewed. The test gauge I bought (for like $20 on ebay) had an assortment of fittings - one fit the threads just fine. Cranking without firing gave me an oil pressure reading - should work for you as well. Really sorry to keep questioning you to death. Wish i knew what you knew flatheads. 1. No special 'u shaped' tool need to remove it? 2. Can i keep the original gauge in place for now, unscrew the 4 sided plug below it and mount a gauge like you are talking about in that location? I certainly don't qualify as any kind of expert. I had the help of smarter folk and that's what I'm sharing. You get to decide how to proceed. The sender just unscrews - I likely used a wrench on the fitting. Can't speak to the plug. But if the gauge isn't reading right now and you need to confirm that there is pressure, keeping the sender in place while messing with other elements didn't appeal to me. You can decide what works for you. The test gauge was attached to a flexible hose and stayed in the engine bay. The dash gauge wasn't touched during this exercise. Removing the sender is a PITA when the cab is in place, there was indeed a special tool (below). That square-head plug is also in the oil passage, can be removed a lot easier, but clean all the dirt away first.